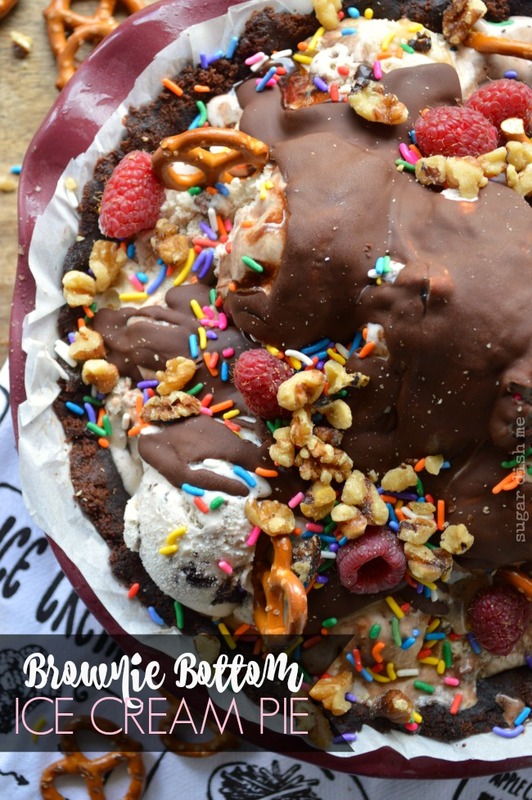 25 Epically Awesome Desserts with Ice Cream! While it’s not technically summer, Memorial Day is the unofficial kick-off to summer. What better time to share a bunch of desserts with ice cream? And things are seriously heating up around here. Last week we had an intense heatwave with record-breaking temps. It was such a terrible heatwave that when it got down to 88 on Thursday, it felt cool. That said, we just went for a bike ride over at the park by our house, and there is not a cloud in the sky, and nary a breeze. It was beautiful, but toasty! 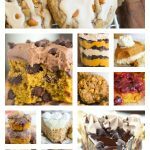 I’ve concluded that there is no better time to round up a collection of incredible ice cream desserts to share with you. There’s a few ice cream recipes, yes, but primarily, these are desserts with ice cream. 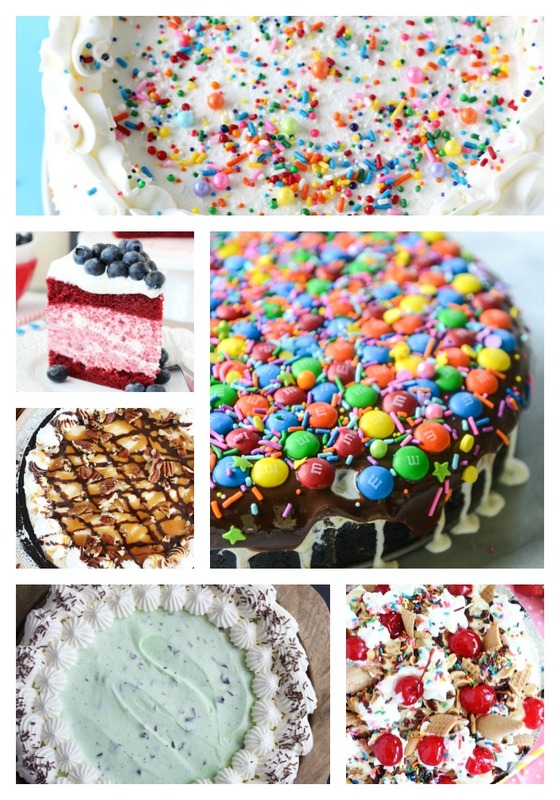 Ice cream cakes and pies. Floats and shakes. Sandwiches and push pops. All things ice cream. Yay! 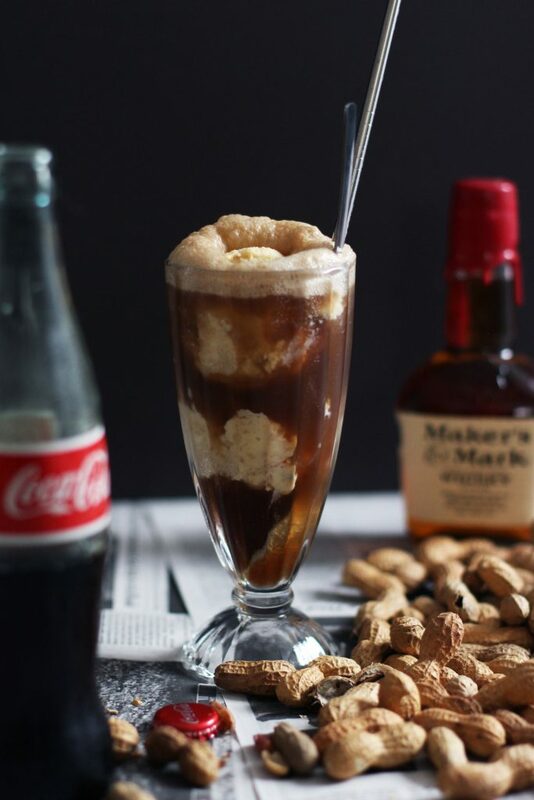 Salted Peanut Ice Cream Bourbon Coke Floats: Everything about these sounds glorious, from the ice cream to the booze. 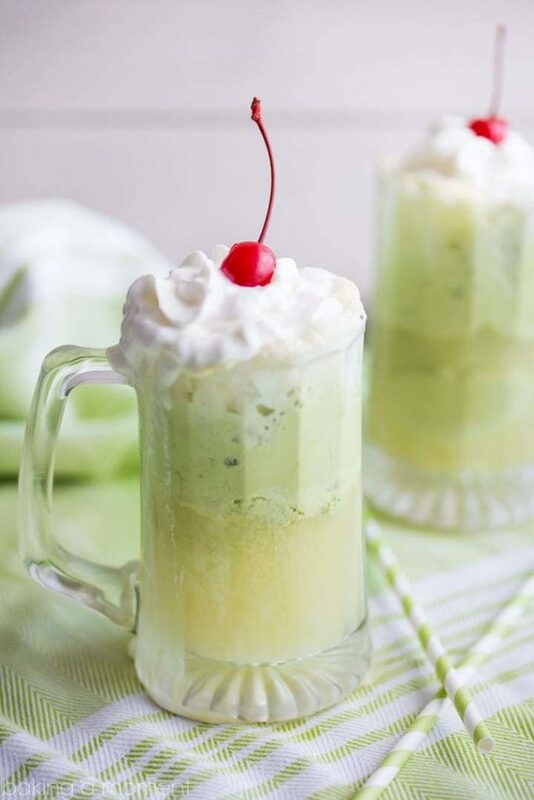 Matcha Ginger Ice Cream Sodas: Those sound soooo refreshing right now. I adore green tea! 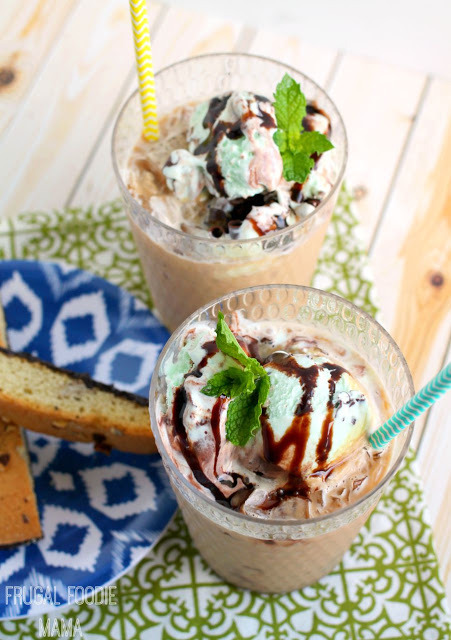 Mint Chocolate Affogato Floats: Must. make. STAT. This is a fabulous ice cream dessert!! 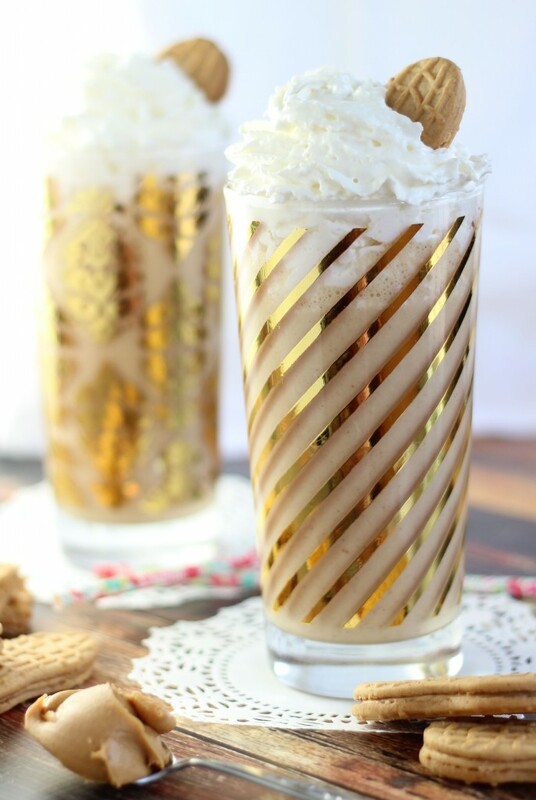 Fluffernutter Milkshake: There’s actual Nutter Butter cookies in this milkshake, along with loads of peanut butter and marshmallow fluff! It’s unbelievable. 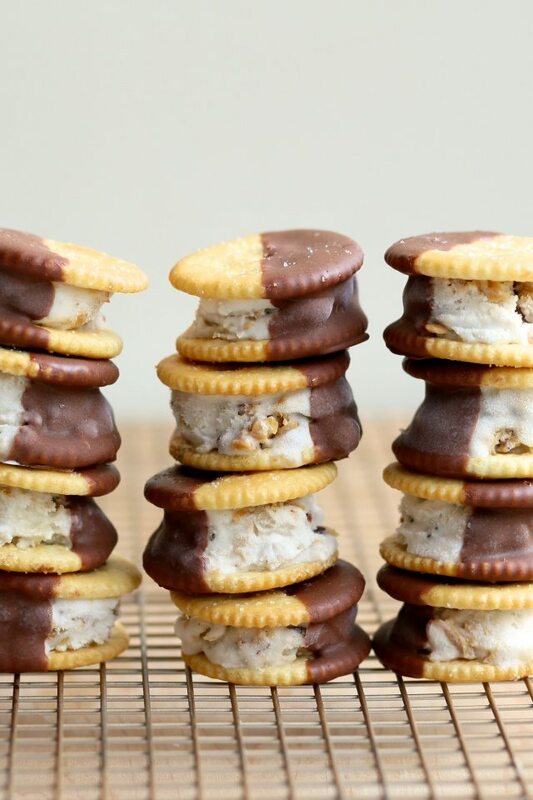 Saltine Crack Ice Cream Sandwiches: I hate that I didn’t think of this first. 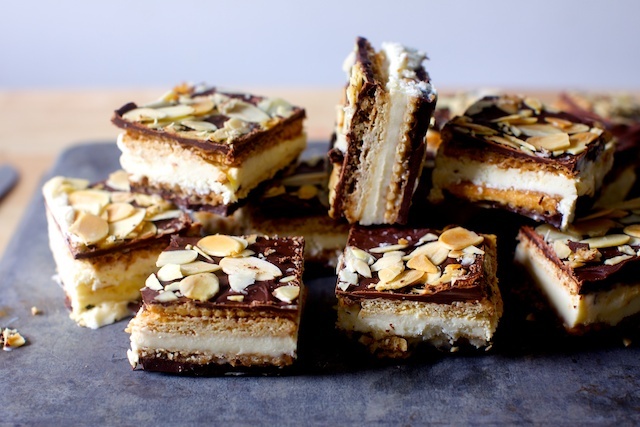 But now I must use my Peanut Butter Skors Toffee Candy to make ice cream sandwiches! 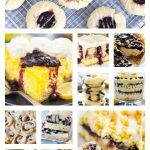 Elvis Ice Cream Sandwiches: I love Elvis stuff – bacon, banana, peanut butter, I’m a sucker for this combo (see Elvis Brownies)! Epic sweet + salty! 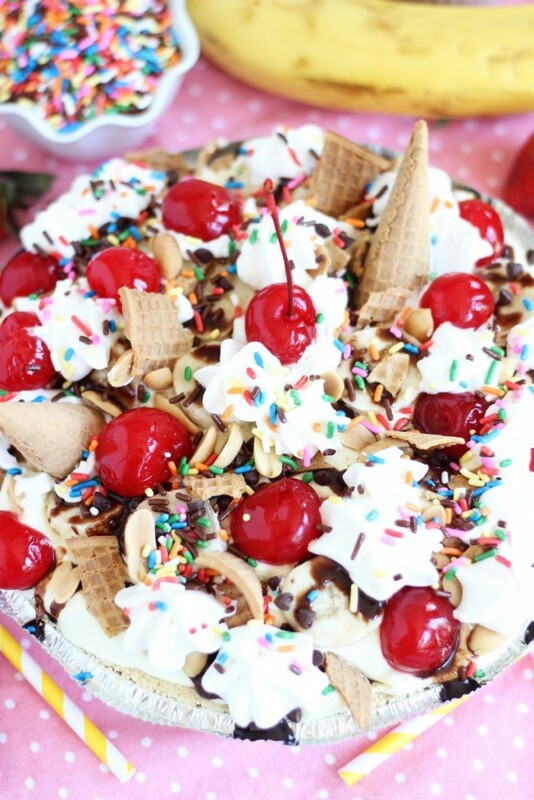 No-Bake Banana Split Pie: My faaaavorite ice cream sundae in a super simple pie! Love the ice cream cones for garnish. 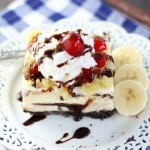 Brownie Bottom Ice Cream Pie: Is it me, or is the brownie bottom only one small sliver of this dessert’s selling point? 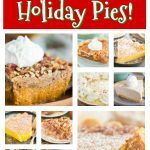 I want that brownie crust, but look at this whole pie – it has everything! 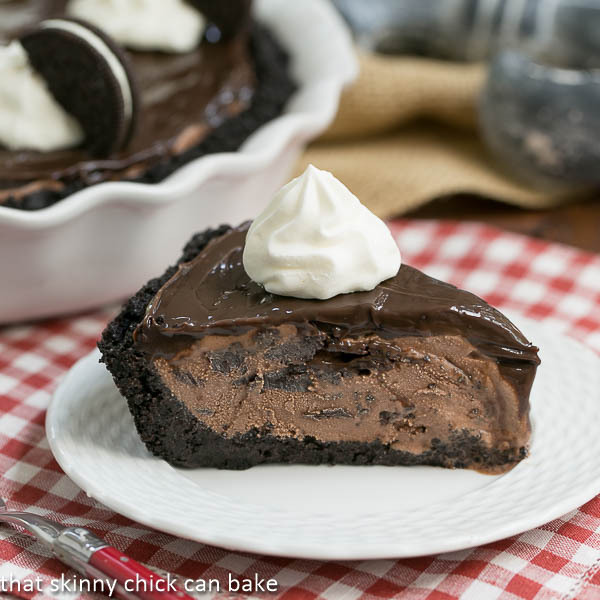 Fudge-Topped Chocolate Ice Cream Pie: Chocolate from top to bottom! 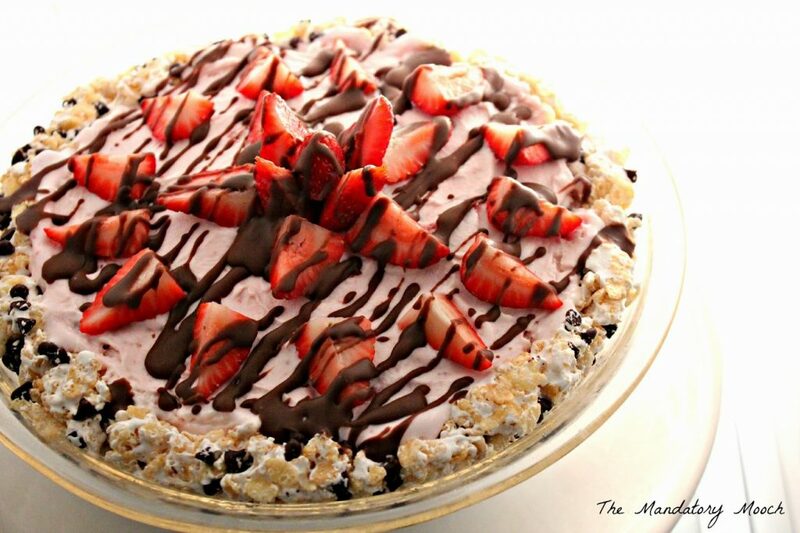 Chocolate-Covered Strawberries Ice Cream Pie: Um, the crust is Rice Krispie Treats. What else do you need to know? 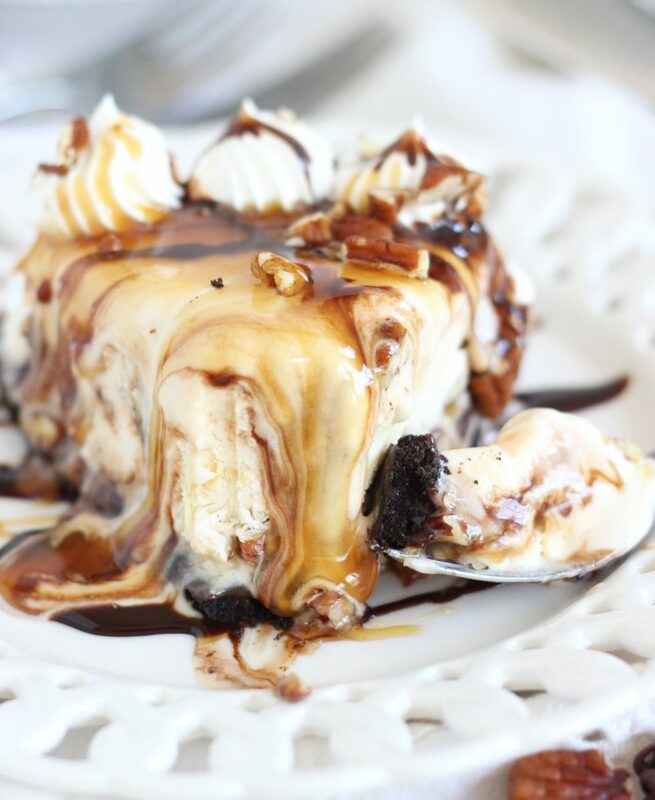 Turtle Ice Cream Pie: Pecans, caramel, chocolate, DAMN. 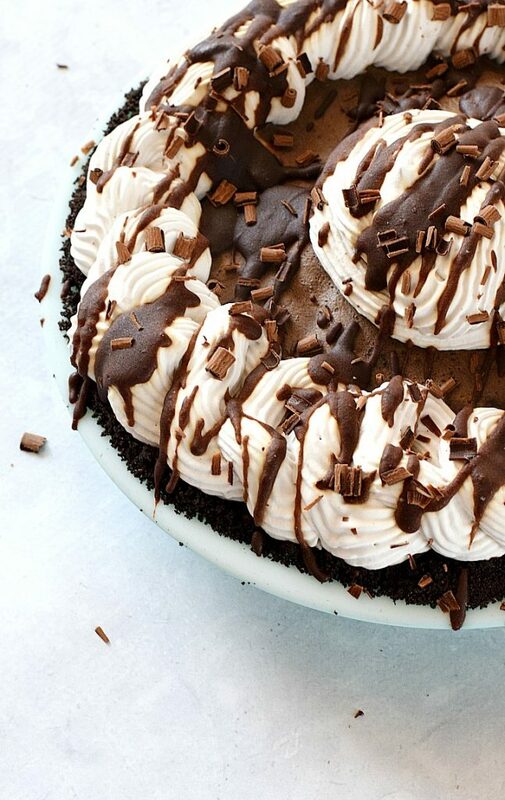 Mocha Almond Fudge Truffle Pie: That combo of flavors – it’s completely sublime. 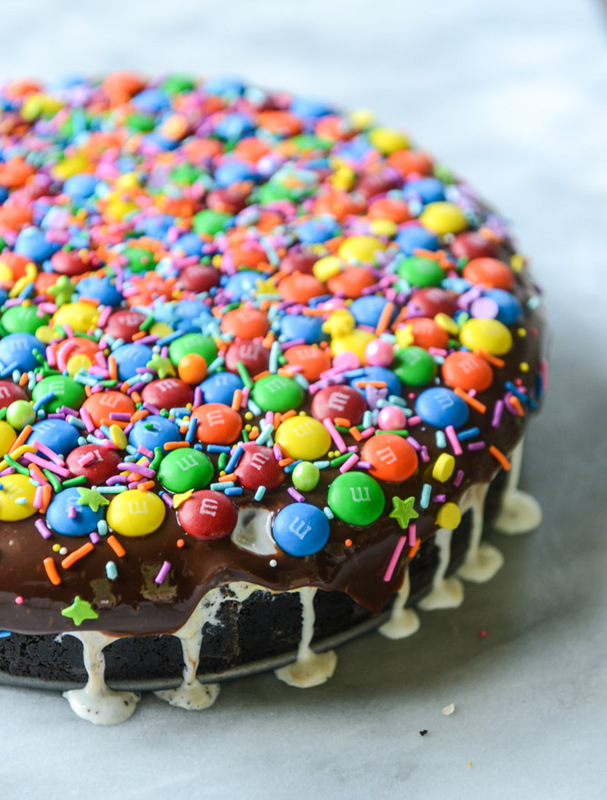 Confetti Ice Cream Fudge Pie with M&Ms: Jessica makes the BEST stuff. It’s an instant classic in my book. 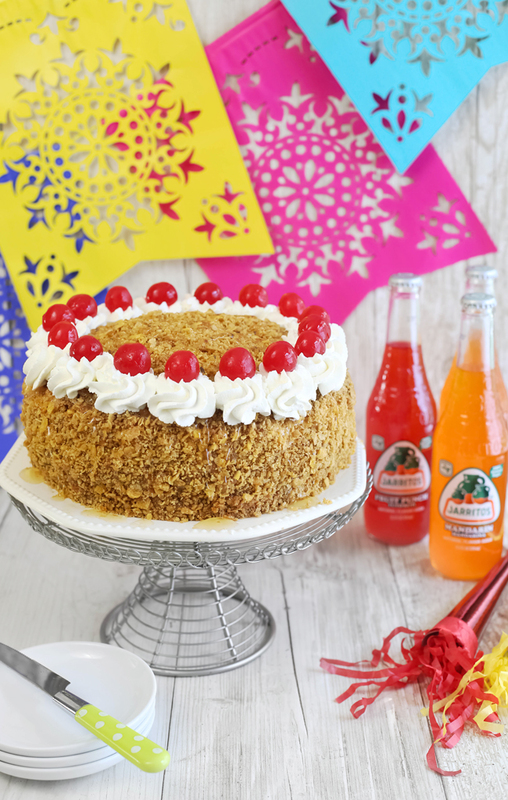 Fried Ice Cream Layer Cake: I’m actually speechless. It’s fantastic. 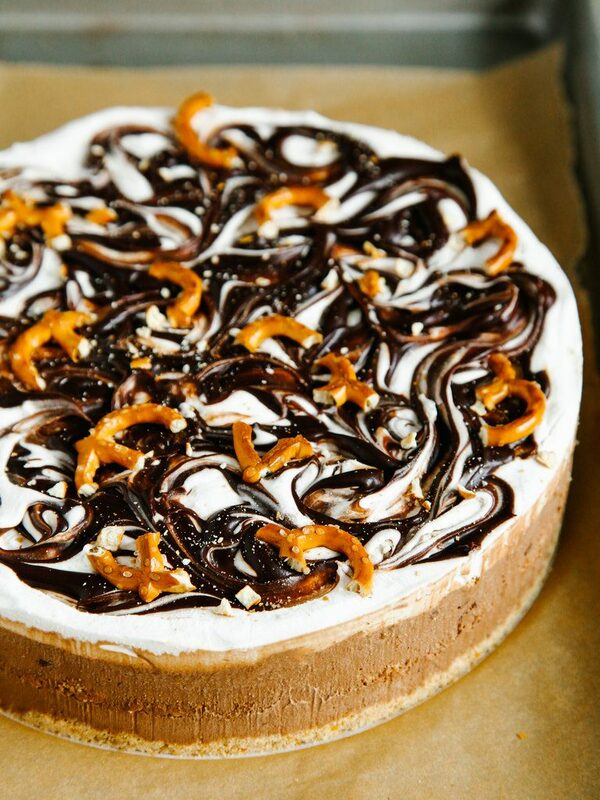 Salted Chocolate Pretzel Ice Cream Cake: Give me alllll the pretzel things! I love pretzel desserts. And another dessert that boasts sweet + salty! 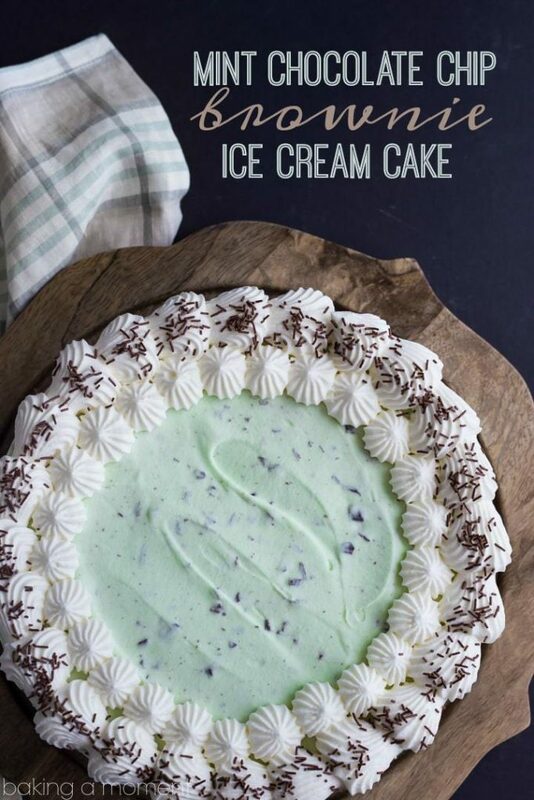 Mint Chocolate Chip Brownie Ice Cream Cake: My favorite ice cream flavor of childhood, and still a top one today. It’s also B-E-A-U-T-I-F-U-L! 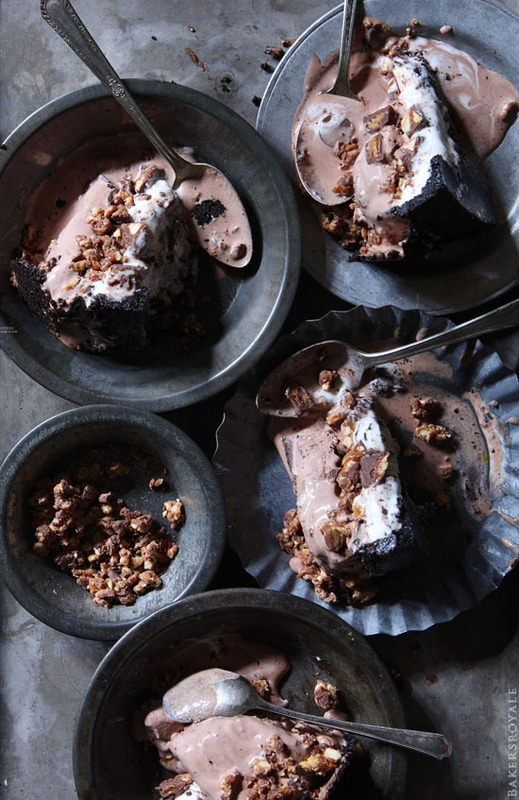 Snickers Ice Cream Cake: Like, get outta here. The photos are also totally stunning. 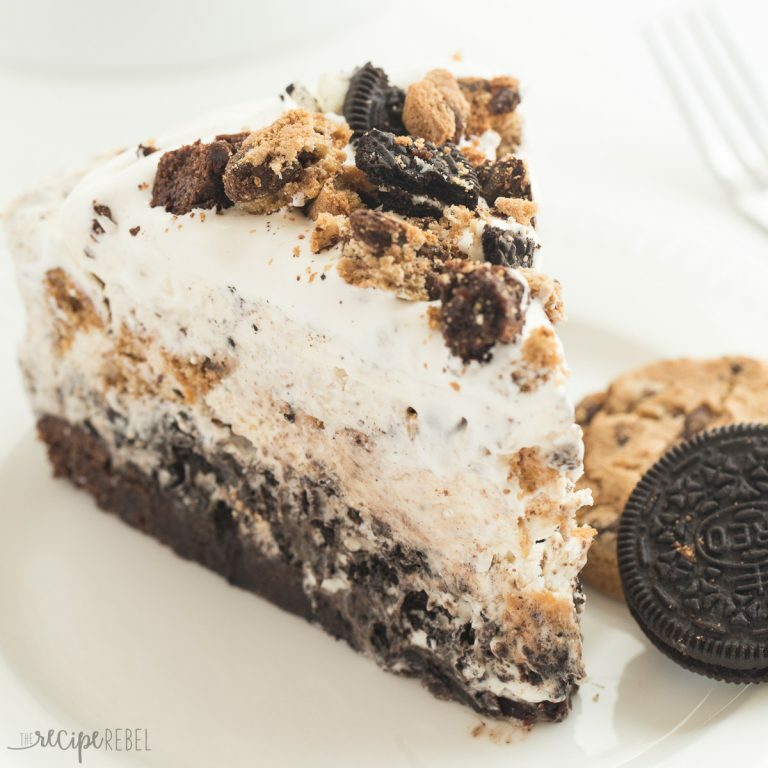 Chocolate Chip Cookie Oreo Brownie Ice Cream Cake: All the best, sweet things in life… in one irresistible cake! 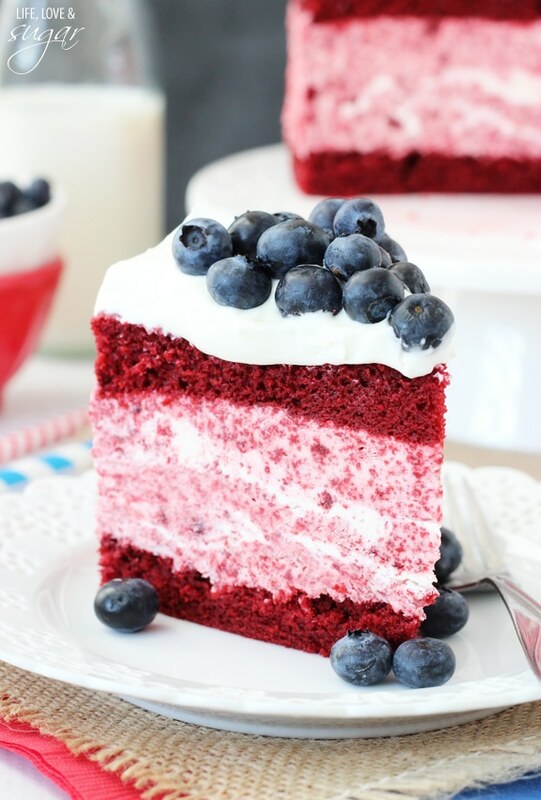 Red Velvet Ice Cream Cake: Possibly the prettiest dessert I’ve ever seen in my life! 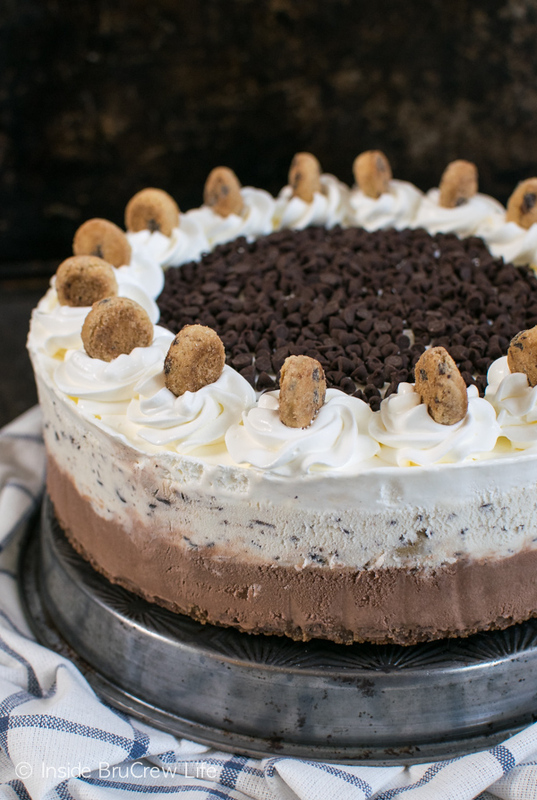 Chocolate Chip Cookie Dough Ice Cream Cake: I could not control myself around this thing. 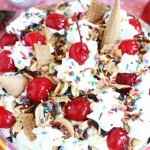 Birthday Ice Cream Cake: My bday is coming up in July. Can someone please make this for me?? 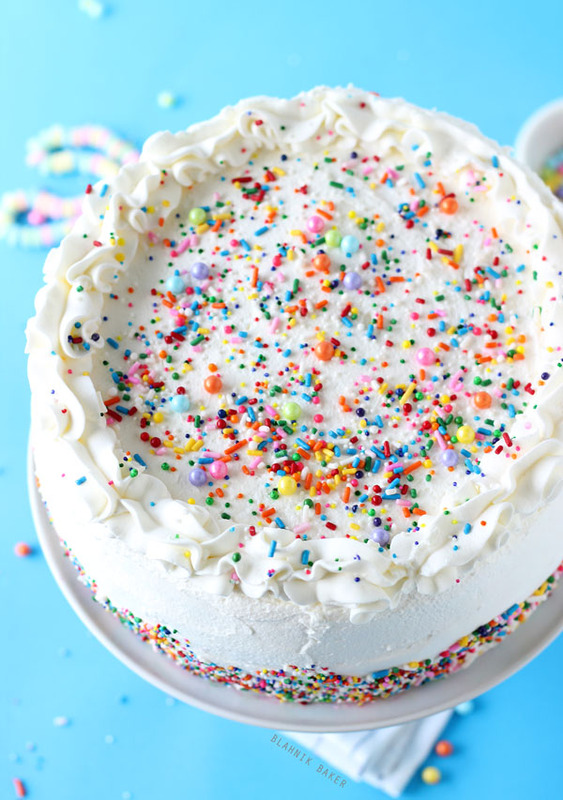 Look at all the glorious sprinkles! 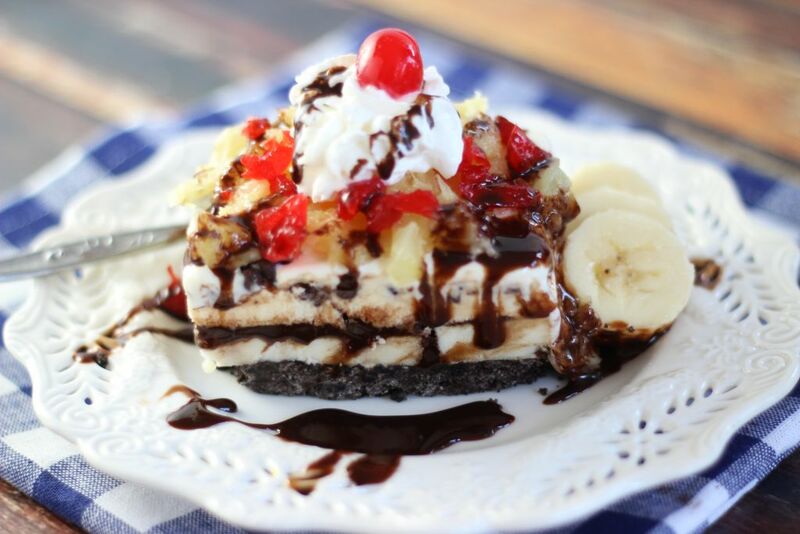 Banana Split Ice Cream Dessert: My aunt introduced me to this delectable treat, and I’ve been making this for years now! 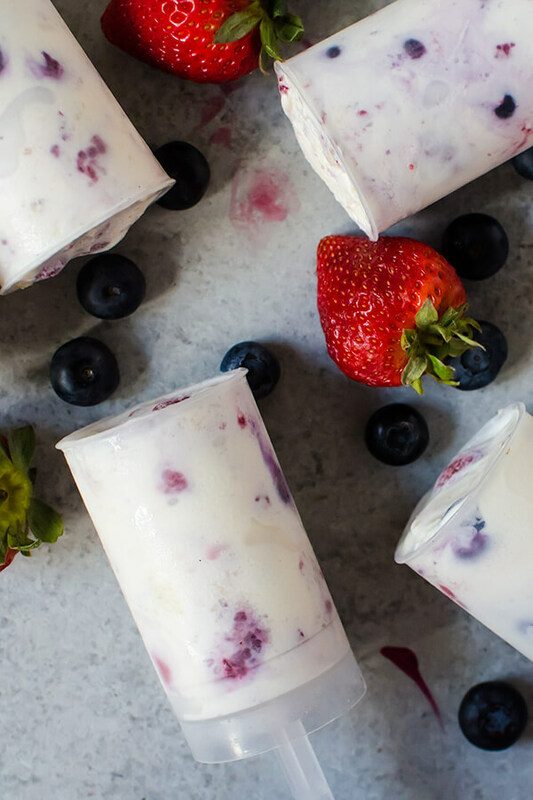 Triple Berry Ice Cream Push Pops: Push pops = childhood nostalgia. But these are a sophisticated, adult version! 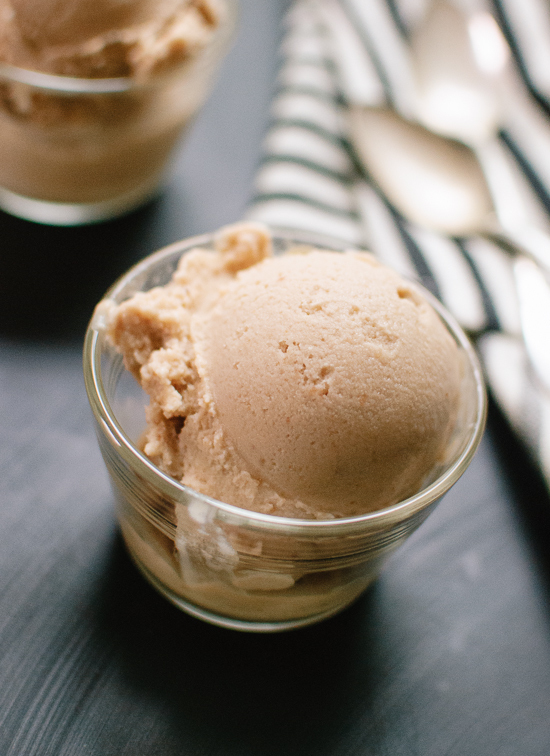 Salted Peanut Butter & Honey Ice Cream: I really don’t make homemade ice cream, but this is #1 on my list of recipes to try! Which of these ice cream desserts will you try first? How does one choose between so many sensational ice cream desserts?? Have a safe and relaxing Memorial Day, and stay cool! This is the perfect array of ice cream recipes to kick off the unofficial start of summer! I’d love to work my way through all of them!! !